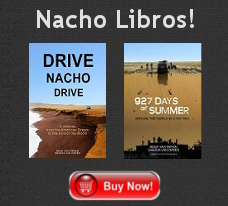 Nacho’s engine is a 2.1 liter power factory, capable of transmitting 112 horsepower to its 14 inch rock crushing wheels. With the turn of a key its internal combustion engine roars to life like a sewing machine. But not just a regular sewing machine, an industrial one. It breathes terror into the deepest depths of your soul with every tick-tick-tick of its industrial sewing machine-like engine. With an engine like this running the show, you leave it alone. There are more important fish to fry. Like creating custom bumpers. 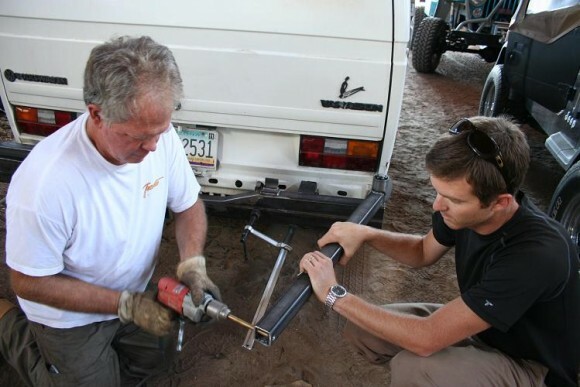 Our initial idea was to buy a rear bumper from the fine folks at GoWesty. They have a swing away bumper attachment that holds a spare tire and a few gas cans. However, after bouncing some ideas off of my dad, we decided to build our own. See, my dad is a life long Jeep tinkerer. 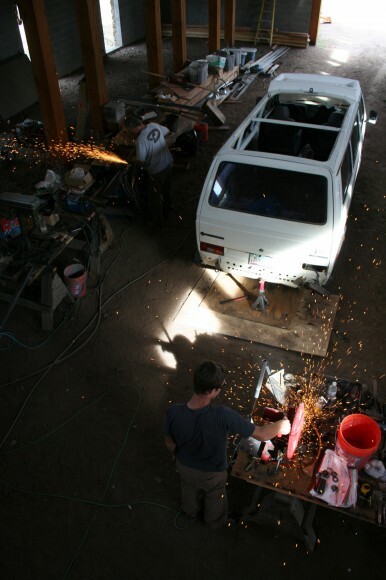 He’s built more than a couple of custom Jeeps from the ground up and is no stranger to bumper fabrication. This, coupled with the high price tag of the GoWesty model, prompted us to go the custom route. 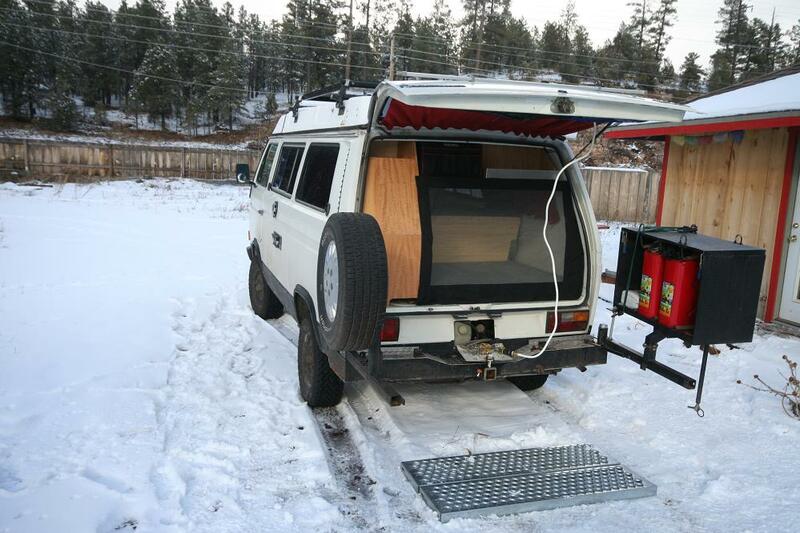 The requirements of the bumper were that it should hold a spare tire and four jerrycans. This would allow us to bring a second spare, 10 extra gallons of gas, and 10 extra gallons of water. We also wanted it to keep the jerrycans protected and out of sight. 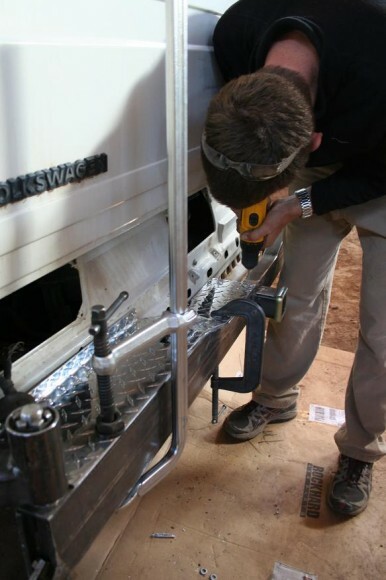 Finally, we wanted the bumper to have two arms that would swing away to 90 degrees and stay open so we could use them as sides to our shower stall. 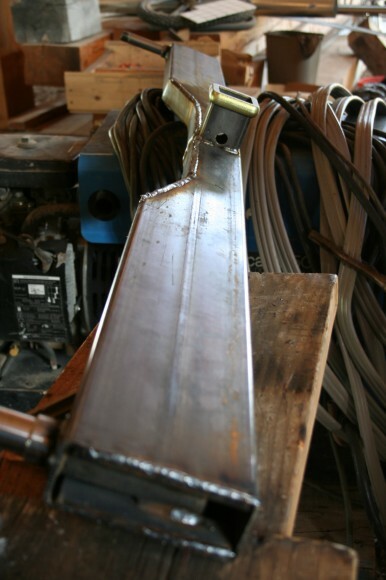 We chose box-section steel tubing for the construction. 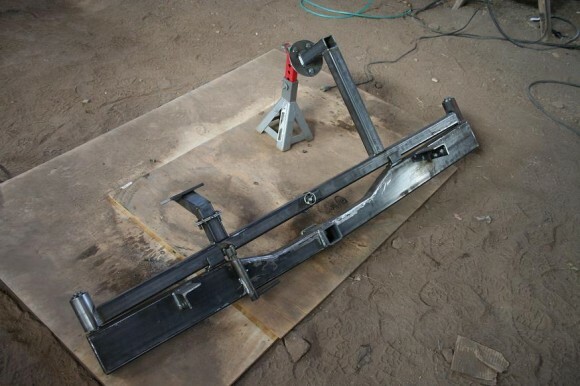 The main bumper is made of a tall rectangular tube, while the arms are square sections. The swing away arms need to hold a lot of weight, so we bought two trailer axles and welded them into the main body of the bumper. We pressed the bearings into the arms and attached them with castle nuts. If these puppies can handle the weight of a fully loaded trailer, they can certainly handle 20 gallons of gas and water. The nearly finished product ended up costing around $300 in materials, and looked a lot like a futuristic weapon. You may not get that from the picture, but trust me, it looked like a weapon. It closes with a lever-actuated twisting latch (behind the jerrycan mast), and the two arms can be locked together in the center. Getting the arms to open to 90 degrees was easy. Fortunately for us, Sheena was T-boned in our Toyota Camry just prior to this project. The car was totaled. Before the tow truck had time to come pick it up and haul it to the dump, I snagged the gas struts that held the hood open. 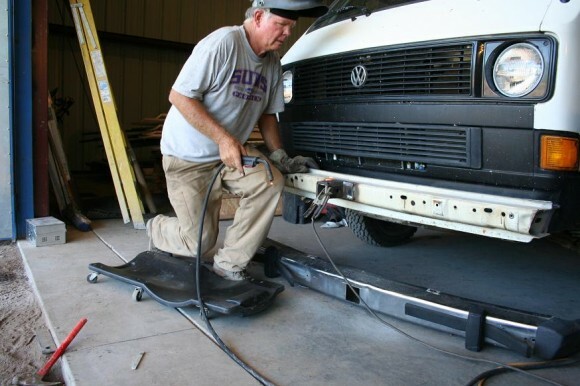 We used these on the bumper arms, so now the bumper opens on its own when the latch is opened and stays open at 90 degrees. 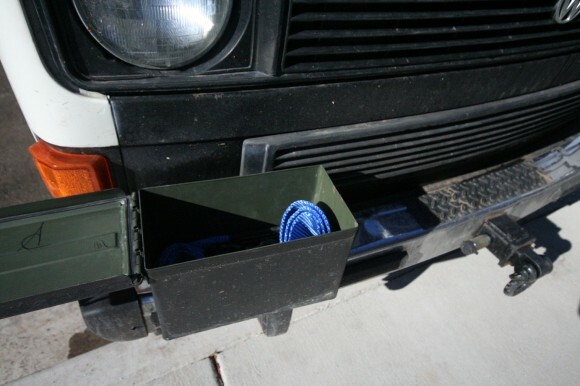 The jerrycan box has a hinged lid, so our cans stay out of the sun and out of sight. The bottom of the box is perforated so any spilled fluids will drain out the bottom. 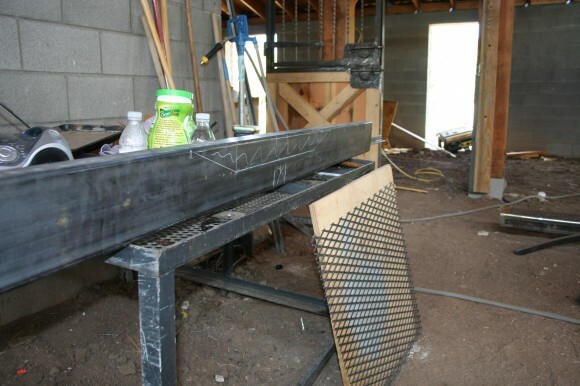 As with any project, the design considerations in order of importance are fashion, function, and safety. We had number two down, so it was time to tackle number one. We made this pig pretty by covering the top with sheets of polished diamond plate, and coated the rest of the steel with a few coats of bedliner. Alas, the rear bumper was finished. 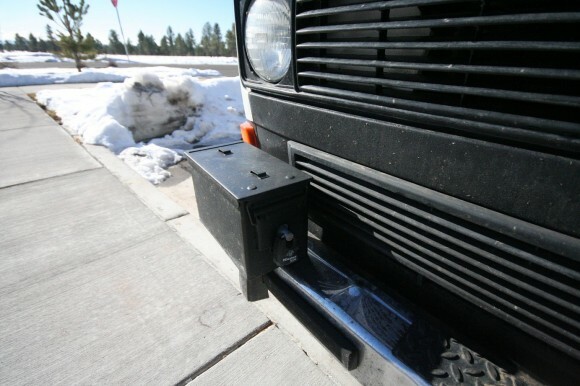 However, no overland expedition vehicle would be complete without a front receiver hitch. 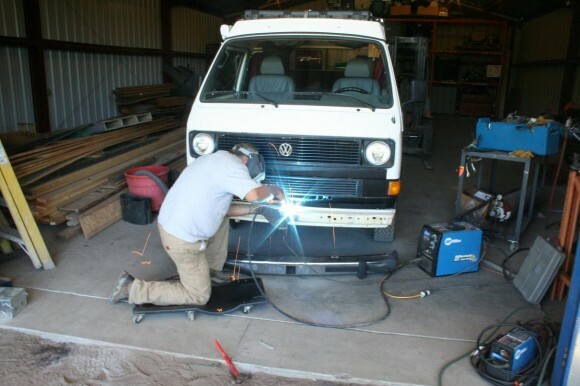 Volkswagen Vanagons didn’t come with a receiver in the front or the rear, so we added one. Now when we get stuck we can hook onto this thing and pull ourselves out. 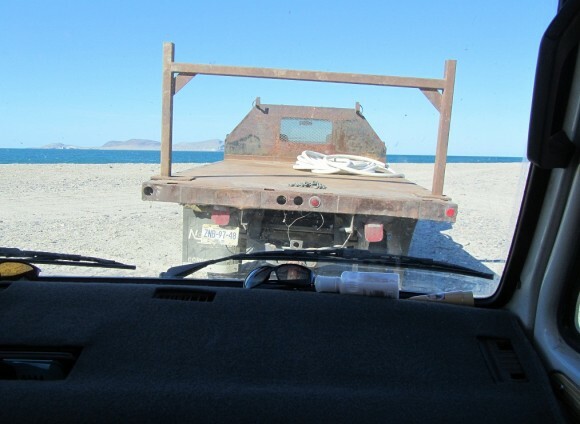 The picture below shows us being pulled out of some really deep sand by a couple of friendly Mexicans while we were in Baja on our test trip in May. It was great, except the road was too sandy for us so they towed us onto a beach. Because, you know, beaches aren’t really sandy. The final step was to create some front bumper storage space. To do this I went to Peace Surplus and bought two army surplus ammo cans. Using a couple of tractor pins and a drill press I made some lock assemblies for the cans, and then mounted them to the bumper. I mounted them by bolting through the bottoms of the boxes to the bumper, which means a malicious thief would have to remove the entire bumper to get them off. Fashion: check. Function: check. Safety: Who cares? As a sign of our continued effort to obliterate any shred of a chance at a healthy social life, we now have two custom bumpers on our van. Two bumpers that, in a couple of short days, will glide happily through the wind as our sewing machine engine propels us South out of the snowy mountains, toward the equator and beyond.